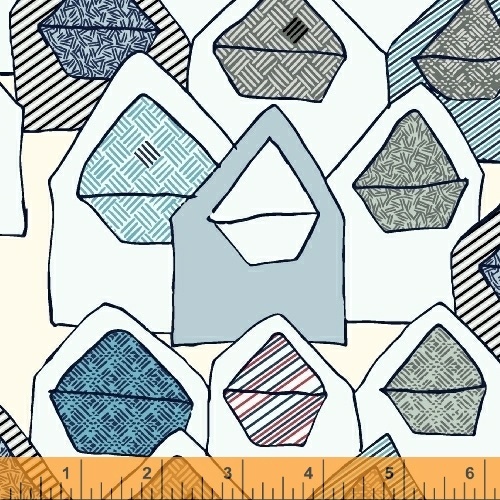 Paper Obsessed by Heather Givans for Windham Fabrics celebrates the places where marks are made � from composition notebooks to paper airplanes and classic binder paper prints. Get into the Back to School spirit with a collection that will make you nostalgic for the days of passing notes in class and doodling in the margins of your notebooks. Great for a backpack or fashionable tote, take a page from Heather�s book and let your creativity run wild with this paper themed collection. 17 Skus. On sale October 2015. In stores June 2016.